Before annual exams for students in grades three through eight began last week, the New York State United Teachers union published an “open letter” claiming it is unfairly hard to achieve a score of “proficient” on the tests. 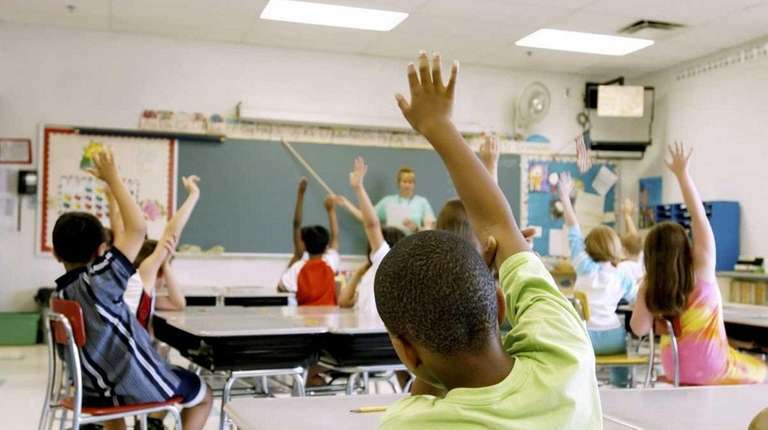 To support this, NYSUT argues that the percentage of kids scoring proficient or better on the grade-school English and math tests is far lower than that of high schoolers passing state Regents exams. A good teacher would fail any student citing that evidence. The numbers do differ dramatically. Of the students in grades three through eight who took the tests over the last two years, about 40 percent scored proficient or higher. In contrast, 74 percent of the students who took the Algebra 1 Regents exams last year “passed,” as did 84 percent of the students who took the English Language Arts Regents. The score students need to pass the Algebra 1 and ELA Regents is 65. But 65 does not signal proficiency. The state says 75 in English and 80 in math indicate career and college readiness, and success in first-year college courses. The percentage of the state’s students who achieve Regents scores indicating they are ready to move on is between 35 and 40 percent, about the same percentage of New York’s students found to be proficient in annual National Assessment of Educational Progress, and found to be college- and career-ready based on SAT scores. Every reliable measure of the proficiency of New York’s students is in a range far lower than the percentage who pass Regents and graduate from high school. If those were the numbers to trust, graduates would be ready for the next step. But 50 percent of new students at New York’s two-year colleges and 10 percent of new students at the state’s four-year colleges have to be enrolled in remedial courses. And many employers say they lack needed skills. NYSUT wants proficiency standards lowered because the union wants nearly all students to pass to show that nearly all teachers excel. That wouldn’t help kids get the education they need. And it would be devastating in NYC, where cries for resources could be ignored because more students would meet the lower standards. And that’s the wrong answer.